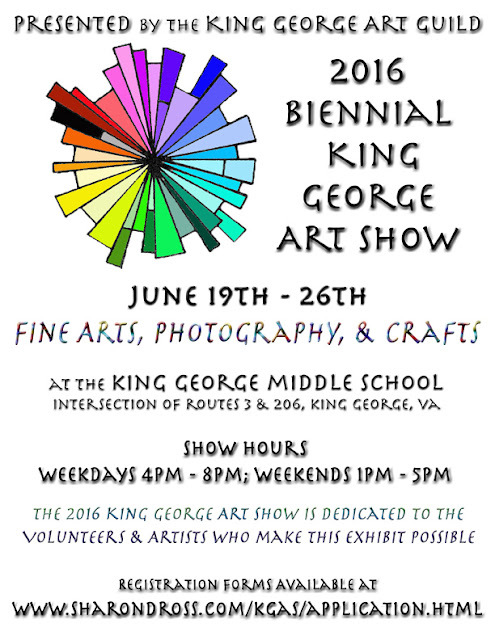 Welcome to the new King George Art Guild site! We're gearing up for this year's biennial show and hope you'll be a part of it! As our first post, please find initial information immediately below for this year's show... Don't delay - register today! So glad to see that that show is happening again this year!